The first official third-party accessories for Apple devices using the Lightning connector were made announced today by Belkin. The company announced two accessories for the new connector, a car charger and a Charge + Sync dock – each costing $29.99 . The 4 feet car charger output 10 watts to charge your device. This charger is compatible with all Apple’s Lightning connector devices which includes the iPhone 5, iPad mini, iPod touch 5th gen, iPad 4, and the new 7 gen iPod nano. 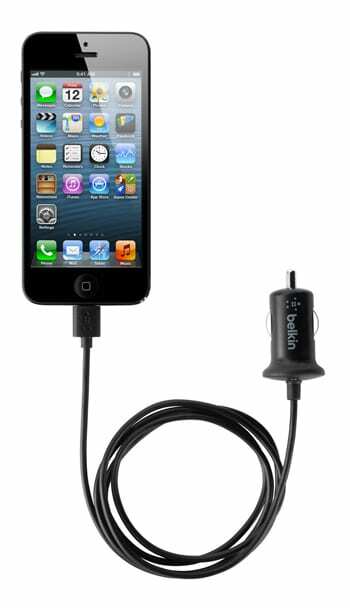 Belkin also announced a Charge + Sync Dock with EarPods Port that is compatible with the iPhone 5, iPod touch and iPod nano.